The string for those who like to strrrrrrrretch their notes. World-renowned as "The Player's Choice" among guitar players of all genres and styles. 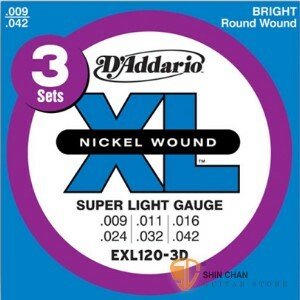 XL guitar strings are wound with nickel-plated steel, known for it's distinctive bright tone and excellent intonation. EXL120s are D'Addario's most popular round-wound, nickel-plated electric guitar strings.